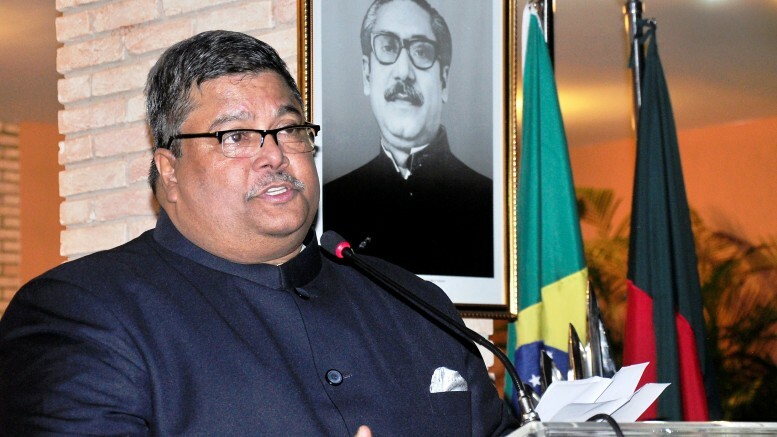 Bangladesh Ambassador to Brazil and former foreign secretary Mohamed Mijarul Quayes passed away in Brasilia, Brazil on Friday night, BSS reports qouting a foreign ministry spokesman. "Mr Quayes was admitted to a hospital several days ago for ailments. He breathed his last at 9 pm (Friday) Brazil local time and 6 am (Saturday) Bangladesh time," the spokesman said without immediate elaboration. A carrier diplomat Quayes was a 1982 batch officer of Bangladesh Civil Service, who served as foreign secretary and in the foreign other capacities at home and abroad. He was made ambassador to Brazil in 2014. Earlier, he was the Bangladesh High Commissioner to the Court of St James's United Kingdom from 2009 to 2014. Prior to this he served as the Foreign Secretary at Ministry of Foreign Affairs of the government of the People's Republic of Bangladesh. He was previously Ambassador Extraordinary and Plenipotentiary of the People's Republic of Bangladesh to the Russian Federation. Previous to his posting to Moscow, Quayes was the Bangladeshi High Commissioner to the Maldives. Quayes was educated at Dhaka Residential Model College, the Department of International Relations, Dhaka University, and the John F. Kennedy School of Government at Harvard University. He is a Bangladesh Civil Service Cadre of 1982.